Externs will provide treatment in an outpatient setting in the Adult Outpatient Psychiatry Clinic, using cognitive behavioral therapies to adults in both individual and group formats. The setting is interdisciplinary and patients are seen for empirically supported treatments. The patient population includes a variety of ethnic groups with a range of severe and persistent psychiatric diagnoses to mild and acute emotional problems including substance abuse and domestic violence that present as barriers to employment. Opportunities to provide mental health services in Spanish are available. The externship is designed to help trainees become familiar with Cognitive Behavioral Therapy (CBT) treatment with adult patients in a community mental health setting. Training aims to help the extern develop a person-centered, individualized case conceptualization approach to delivering CBT to a diverse and underserved patient population. 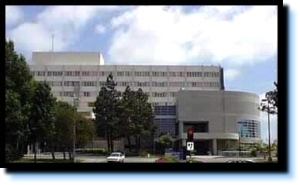 The CalWORKs population is referred from Los Angeles County Department of Social Services (DPSS) as individuals who are receiving public assistance (cash aid, food stamps, education waivers commonly referred to as “welfare” services) but have presented with mental health barriers to securing gainful employment. Externs typically care 10 individual cases and co-lead 1-2 groups for at least half of the year. For both rotations, externs have the opportunity to serve on committees for multiple local and international CBT organizations, and are required to develop a group research project to complete for the year. For the past several years, the projects have been reported at national and international conferences. Several are in preparation for publication. Primary supervision is provided by licensed clinical psychologists and postdoctoral fellows, meeting weekly. Required courses include the CBT course that is held throughout the year, the CalWORKs and the CBT case conference. Externs will also interact with physicians and other medical staff as part of multidisciplinary team consultation. The extern will be provided several required trainings at the beginning of the year including: a three day required training in DBT, a one day training in CBASP, and a one day training in Acceptance and Commitment Therapy. Opportunities for other seminars and courses are available. Externs are required to be on site a minimum of 20 hours a week. The schedule is as follows: Mondays 9-12 p.m., Tuesdays and Thursdays 8-5 p.m. These times are set and not negotiable. Attendance is required at Mindfulness (Mondays 9:00-9:30), Research Meeting (Monday 9:30-10:30), the Advances in Cognitive Therapy (Mondays 10:30-12), and the CalWORKs Case Consultation Team meeting (Tuesdays 1-2:00). Students applying for this position may have had previous psychotherapy experience providing direct services to adults. Completion of a course in CBT is preferable, but not required. Must have a distinct interest in Cognitive Behavioral Therapies and employment-focused treatment goals for adults. This position will include aspects of macro-systemic work including collecting patient outcomes, coordinating care with outside agencies and DPSS, providing linkage and case management for participants, and attending weekly meetings with other CalWORKs staff on Tuesday afternoons.